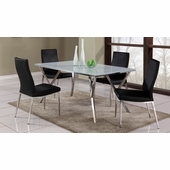 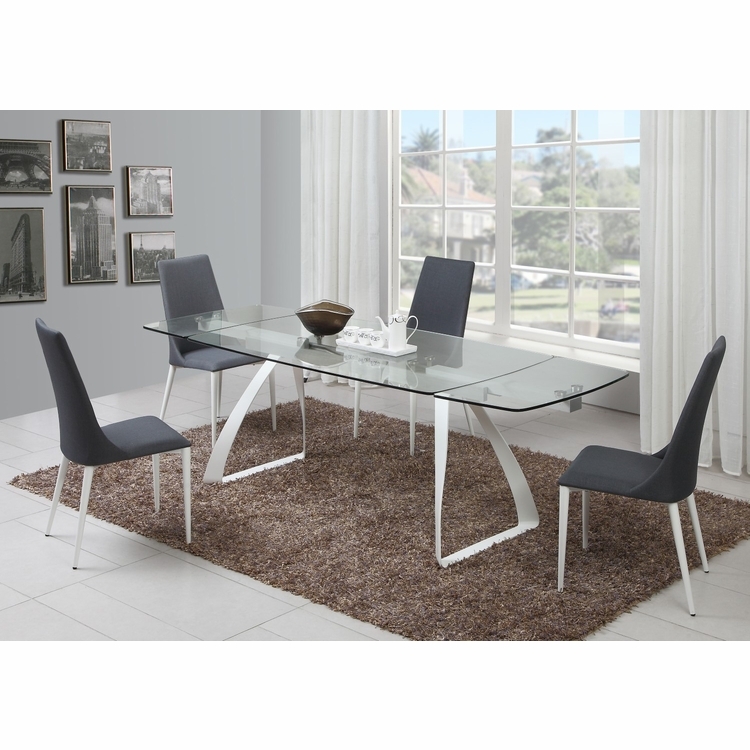 Update your room with this modern dining table, featuring an extension glass table supported by curved triangle shaped legs. 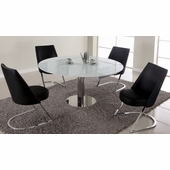 Complete the look with the curved-back side chairs. 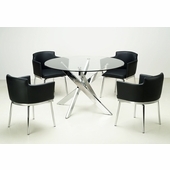 The shape of the chair gives an extra sense of comfort. 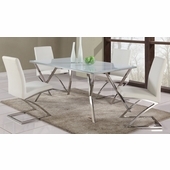 Table can extend from 63" to 94"